Rollprint Magento site is now optimized for mobile devices. Retail world is characterized by a relentless digital transformation and, increasingly, Mobile is becoming the starting point of the Customer Journey to online purchases. 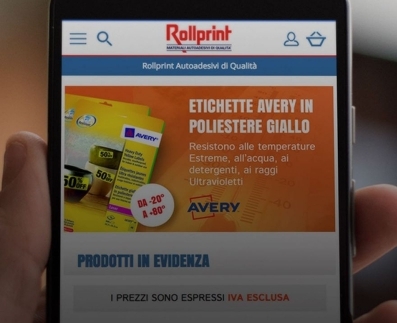 Rollprint, one of the first Italian companies to have believed in the potential of eCommerce, offers now its customers a new level of user experience by optimizing its Magento site for navigation via Smartphones.